On the heels of Island artist Jack Garratt being named the Brits Critics’ Choice for 2016, seven of the 15 acts included in this week’s BBC Sound Of… longlist are signed to Universal Music’s labels. 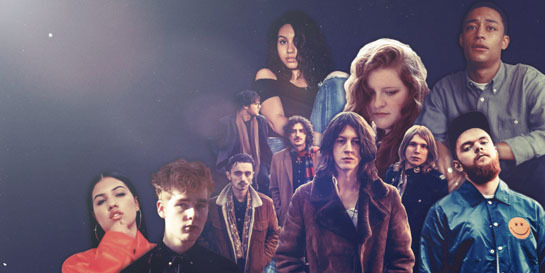 Virgin EMI is the label home of a trio of acts - Blossoms, Alessia Cara and Loyle Carner, with a pair of Polydor-signed artists getting the nod - Mabel and Mura Masa. Capitol have received more recognition for Frances after her Brits shortlist last week and Island extend their celebrations for Jack Garratt. There’s a bit of something for everyone in the list of seven, from Loyle Carner’s “emotive hip-hop” to Jack Garratt’s “neck snapping beats”, Mura Massa’s “atmospheric grooves” and Frances’ “harmonious piano pop”. Universal Music has a strong pedigree in the BBC polls, with the six previous winners emerging from the company’s labels: Years & Years, Sam Smith, Haim, Michael Kiwanuka, Jessie J and Ellie Goulding. Streaming platforms Spotify and Google meanwhile make their first foray into yearly tips lists for 2016. Spotify count five Universal Music acts amongst their top 15 and Google count four acts amongst their Top 10. Jack Garratt and Frances continue their noms roll, joining both lists. Blossoms, Mabel and Mura Massa add Spotify to their 2016 backers in addition to the BBC. Google also back Polydor’s scouse quintet Clean Cut Kid and Decca’s Scandinavian songstress Aurora, the voice of this year’s John Lewis Christmas ad.